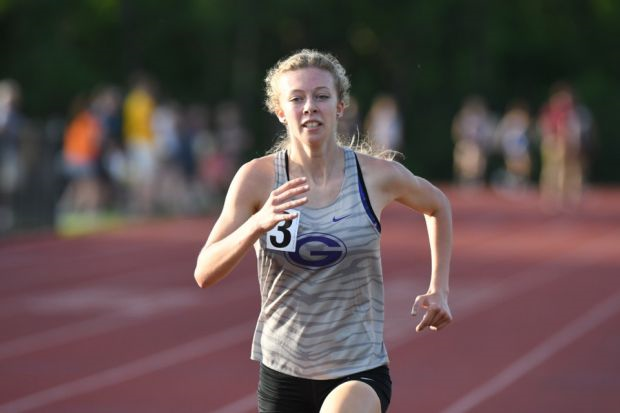 Emma Wilson, the national All-American and 5-time Indiana state champion in cross country and track and field, confirmed to MileSplit Indiana that she has decided to forgo her last two eligible seasons for Greencastle Senior High School due to the treatment of her coach, Craig Jordan, by the school's administration. Shortly before Nike Cross Nationals, Jordan was put on administrative leave with Greencastle Senior High School, The Indianapolis Star first reported, and was unable to follow his athlete to Portland. The letter outlining Jordan's leave said there was "an irretrievable breakdown in your professional relationships that cannot be resolved." 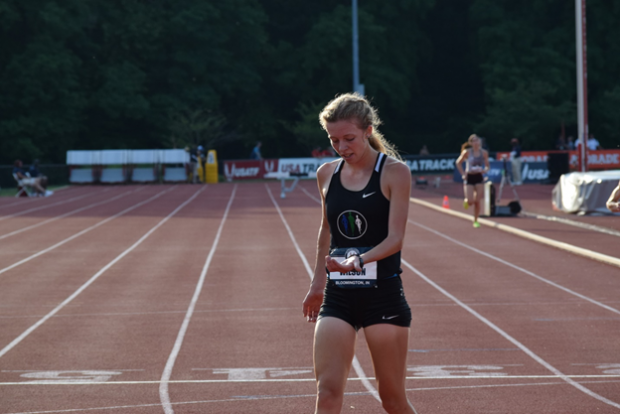 Wilson confirmed to MileSplit Indiana that she has remained fully in support of her coach since the decision, and that it beckoned a decision made by the senior, Indiana's top returning girls distance runner. As a result, Wilson said she has decided to forgo her senior track season and run unattached with The Miles To Go Run Club, the training group Jordan founded and continues to coach. This was an unexpected decision for the University of Illinois signee. Wilson learned just days before heading to NXN that Jordan, her long-time coach at Greencastle, had been placed on administrative leave from the high school due to issues between the administration and Jordan. The school has remained silent on the current situation and has not answered any emails sent by MileSplit Indiana. 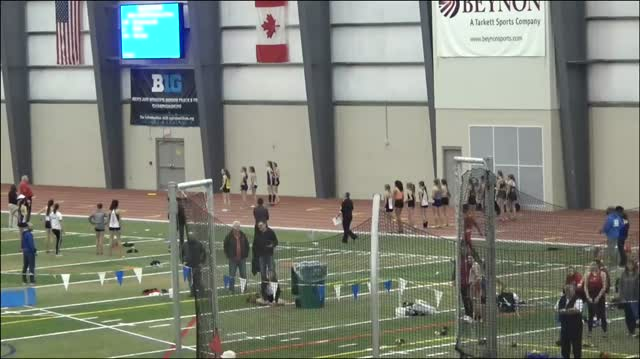 Jordan also did not speak to MileSplit Indiana. There could be some kind of response at the December 17 school board meeting in Greencastle, where many in the community are reportedly going to come out in support of the coach. "This had been going on for awhile and has been very stressful and emotional for all of us," said Emma's father, Chad Wilson. Ultimately, the turmoil created a tough dilemma for Emma's big weekend and she finished 32nd at NXN. She was 14th in 2017. She said most of the weekend she was stand-offish from the rest of her Midwest teammates as a result of this controversy, and already being a shy person, that didn't help the situation either. However, Wilson said she did fully enjoy her time out in Portland though and was able to have fun with it. Wilson had won five state titles in cross country and track and field and had the potential to add at least one more to that mantle this spring. She is the defending champion in the 3200 meter run and she took fourth in the 1600m run. 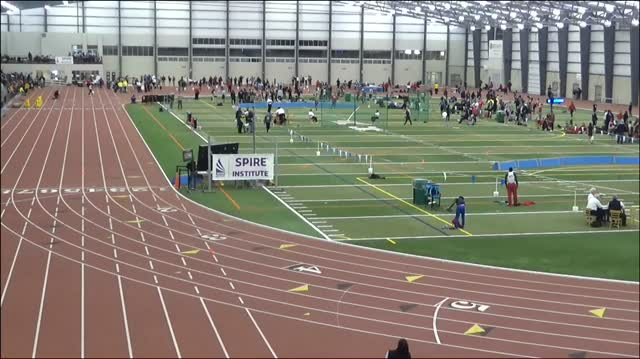 MileSplit Indiana has reached out to the Greencastle Superintendent Jeff Hubble, High School Principal Chad Rodgers, and the entire school board for comment, but none have responded as of Sunday. First, there are very obvious occasions that will be impacted by this decision. Wilson won't be able to defend her state title in the 3200m, and she will not be able to defend her Flashes Showcase title, either. Since she has chosen to not compete under an IHSAA high school, she is unable to compete in IHSAA events, and this also includes sanctioned invitationals across the state during the regular season. In an article from the IndyStar, Wilson said "I am sad that I'm not going to state. At this point, I don't even care anymore. I don't want to run for Greencastle any more. I just want to run for coach." But this does open up a range of possibilities for other competition. During the indoor track season, there are far more opportunities for open meets. Before the last weekend in February, the meets are all considered open meets, so from now until about February 26 Wilson has free range to compete against some of the same kids she has been racing for four years now. 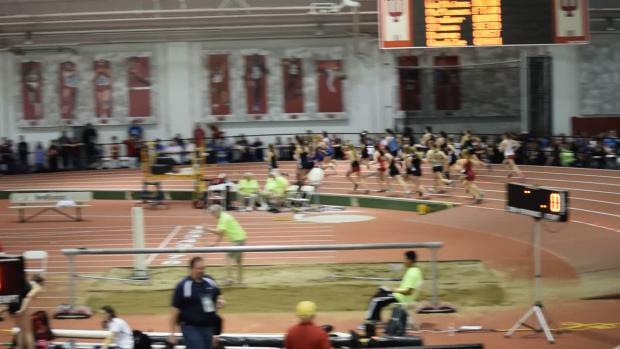 During the month of March, though, nearly all the meets held are HSR qualifying meets, which are run during the official IHSAA season and athletes are not permitted entry unless they are attached to a high school. So then it becomes a search. Fortunately, Wilson's school is located just a matter of minutes from DePauw University, and just under an hour from Indiana State University. Indiana University and Purdue University aren't that far, either. Wilson also mentioned that open meets at the University of Illinois could be a possibility. This would be a great opportunity for her as she would get to race against some of her future teammates. Wilson said she will still be able to compete at New Balance Nationals Indoors and Outdoors, although she will have to hit a qualifying standard in an open and not just in a practice or time trial. She said she's confident in her ability to hit the times necessary to make it to those national events. Wilson may also have an opportunity to try different events that she wouldn't normally have time to dive into during the indoor or outdoor season. She typically focuses on the 800m, 1600m and 3200m. But competing without the usual high school scene will allow her to attempt the steeplechase again, as well as longer distance events like the 5K. This will give her a prime opportunity to test out other events which she feels she could excel at in the future at Illinois. "We're excited for Emma, and very proud of her for sticking up for what she believes in," said Jennifer Wilson, Emma's mother. While the situation will prevent Wilson from running her for high school again, she said opportunities are still out there and that she will embrace the new challenge. There will be lots more traveling involved this season but Emma, and her parents believe it will be worth it in the end. Emma and her family are actively searching for open meet opportunities, if you know of any and would like to help them out, please leave a comment below or send an email to atchleybecca@gmail.com with any meet info you have.